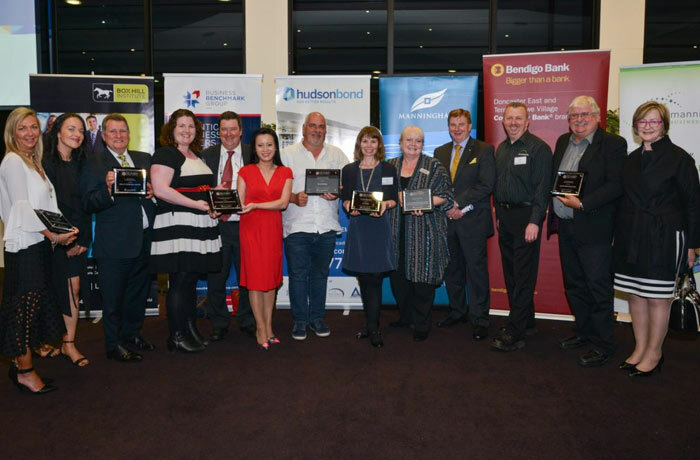 2016 has been an incredible year for business in Manningham, and this has been reflected by all of the fantastic applicants in the Manningham Business Excellence Awards. We changed the way businesses entered the awards, we removed the need for categories and we improved the judging process. And all feedback has been positive. This has resulted in strong entries, some well deserving winners, and a great gala night. The biggest change in the awards process was the way businesses entered, which lead to how they were judged. This year we wanted to focus on the story of the business. We wanted to hear how you were created, we wanted to know what kept the fires burning, your desire to succeed. We wanted to discover what excellence meant to your business. Danielle Storey has been a judge for these awards for the past three years. “It was such an honour to be asked to judge again,” she said. “I had a great time meeting all these wonderful businesses, and a difficult time finding one above them all!” We asked her what the differences between last year and this year was, in terms of the quality of entrants, the judging process and more. 2016 also introduced the mentors for entrants, real life business owners, volunteers, who helped the applicants ready themselves. These impartial sounding board really helped business focus their approach to the application process. Olivigna is a winery and olive grove, and a top class restaurant in Warrandyte. An idea, twenty years in the making, Olivigna opened its doors for business in 2014, with Anna Gallo and John DiPetro at the helm. They even featured in an episode of that cooking show on Channel 10, when Nigella Lawson was visiting! Winners last year for Best In Class, this year they took the step up to the Big Prize, Business of the Year. We spoke with John after his win. We asked John about the mentoring process. The Manningham Business Excellence Awards Committee wishes to thank all the excellent businesses that have entered the Awards. You all are outstanding in your own right for taking the time to enter and focus on your business success.